Avalara provides our mutual clients with sales tax automation software, helping businesses manage the complex rules and regulations related to transactional and indirect taxes. Visit www.avalara.com for more information. The fields below are what will integrate your Avalara account with your site. 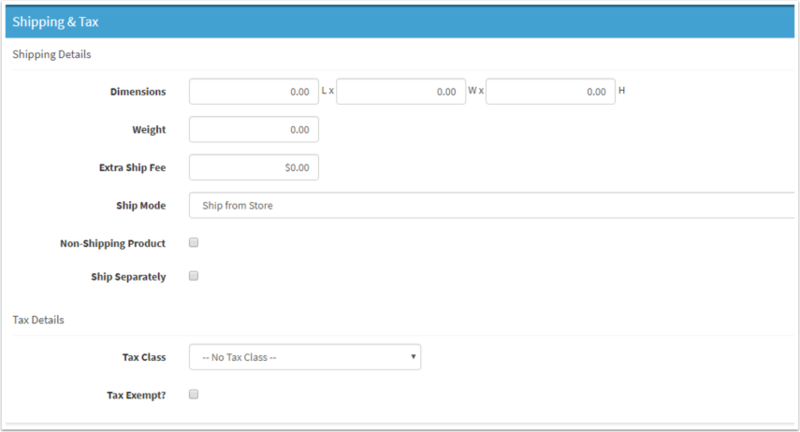 Once integrated, taxes will automatically be pulled into your site. Enable Avalara: This option enables Avalara. Account: This is the account number provided to you by Avalara. License Key: Here is where you would enter your license key (provided to you by Avalara). Company Code (leave Blank if you have one default company): Your company code. Commit On Order Placed: Calculate taxes when the order is placed rather than when it is paid for. Sandbox Mode: This option allows you to connect to a different server for testing purposes. Debug Logs: This option adds many extra diagnostics in our logs for troubleshooting purposes. Address Verification: Avalara will check addresses against the USPS database. Use UPC for ItemCode: Uses the UPC in place of the SKU. 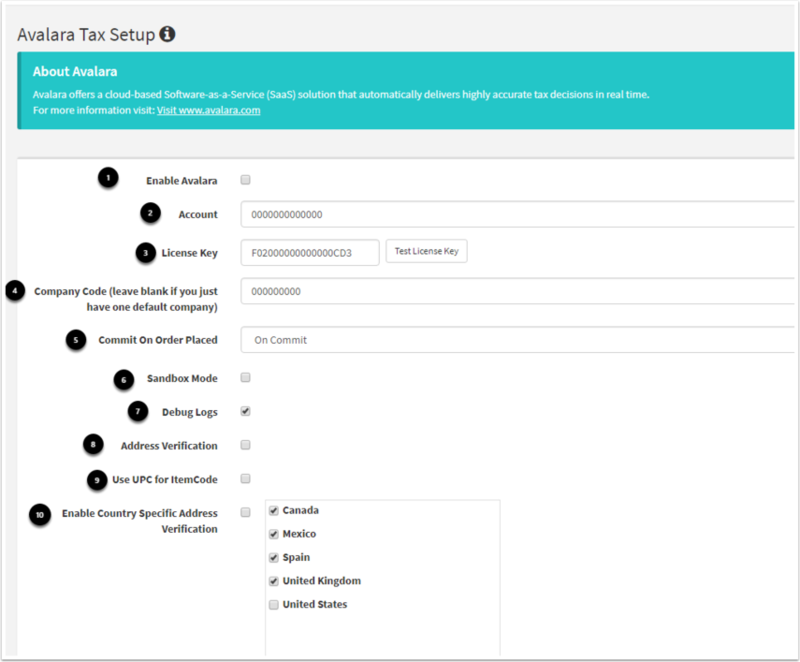 Enable Country Specific Address Verification: Avalara will check addresses for the specified countries. Once you have entered your credentials, you will click on the Test License Key option. What this does is it sends a basic "ping" to Avalara and they verify that the account is set up correctly. 1.) If everything checks out with Avalara, you will receive notification that the key is valid. 2.) If it doesn't work, or there is an issue with the key, you will receive an error message. NOTE: You do not need to save your entries prior to testing your key. Typically if a product is marked as being tax exempt we do not send the item for tax calculation. If a product has a Tax Class, we send the item and put in the Tax Class Name; Avalara will exempt the item from being taxed. When it comes to marking users as being tax exempt, what you will want to do is "Edit" the user and go into the Account Management section. You will then click on the check box beside Tax Exempt. The Avalara Certificate ID is a tax exempt ID that you may enter for your tax exempt users and that will show up in the Avalara UI. By setting the Order Status of an order to canceled, it voids/cancels the order in Avalara.